In a homage to the silent movie "flicks" of the early 20th Century. 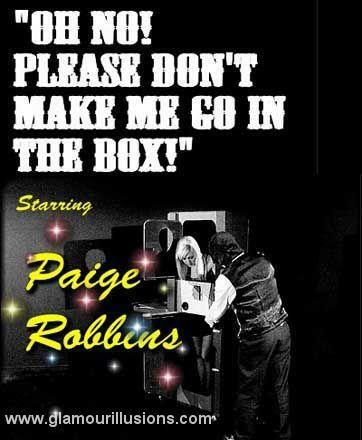 Our femme fatale Paige is forced and locked into the Zig Zag cabinet as the villainous Evil Magician proceeds to divide her into three pieces. As in all the good movies she finally emerges unscathed from her ordeal. NOTE: The video is filmed and edited in Black & White with grain and artefacts to resemble old worn celluloid movies. Therefore the flicking of the picture is intentional and Not a fault.